Note. This list has been reduced and is old. You need to check and make sure that the places listed are still accessible and open to the public. Madis' book Sacred Sites in North Star Country has a much larger listing of places to visit. 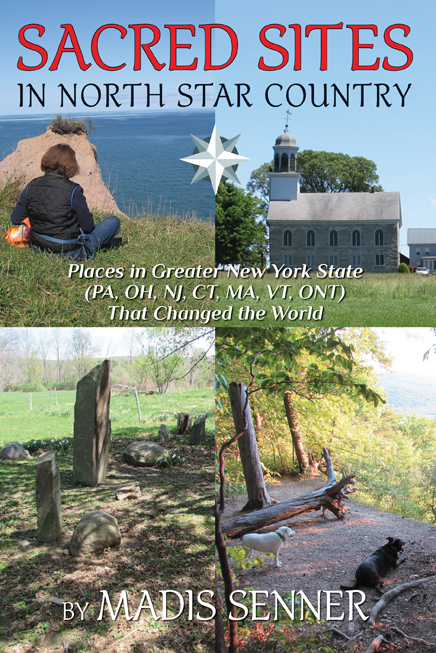 The following is a listing of sacred sites in the greater upstate New York area. Emphasis has been placed on those places that have a peice of Mother Earth's soul. Abode of the Message--The Barakah--New Lebanon, NY--A great Vibe in an old sacred place. Schoharie Presbyterian--The Fire Still Burns--Schoharie, NY--The Spirit of Social Justice Still Burns. Stone Arabia Church--Stone Arabia, NY--Provides for a quaint and quiet connection. Johnson Hall, Mending Hearts--Johnstown, NY--go there if you are looking for peace or reconciliation. Kateri, A Holy Site Many Times Over--Fonda, NY--The Chapel is very powerful. Shrine of the Martyrs--Auriesville, NY--Traditional Catholic Shrine. Omega Institute--Rhinebeck, NY--The woods are special. 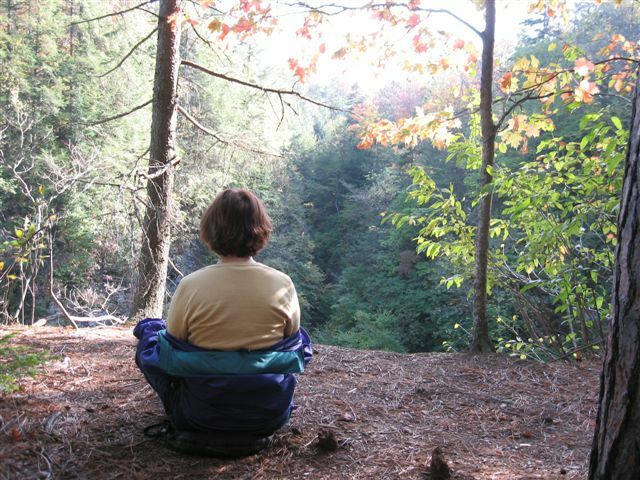 Pumpkin Hollow Retreat Center--Craryville, NY--Go for a healing. Poland's Nature Preserve, A Hidden Treasure--Poland,NY--accessible, but secluded, offers the divine. The Prophetic Spirit--Syracuse, NY--A powerful spirit line. Spirit House--Georgetown, NY--Magical, tickles your spirit. Muller Hill’s Enchanted Forest--Georgetown, NY--Never know what you will find. Questing at Chapel House--Hamilton, NY--Great for contemplation. Plymouth Sanctuary of Love and Justice--Syracuse, NY--Feel the spirit of social justice. Liberties’ Guiding Light--Peterboro, NY--Where they walked the walk and talked the talk. Emotional Healing, Upstate Chapel—-Syracuse, NY--A great place for healing. Peacemaker’s Sanctuary--Onondaga Lake, NY--Where peace is possible. Tree of Peace--Onondaga Lake, NY--IN the spirit of the great Peacemaker. Vivekananda's Light House---Thousand Islands Park, NY--Where the great mystic was transformed and reached the highest stages of samadhi. Gobind Sadan USA--Hastings, NY--Great devotion and acceptance of others draws you. Whetstone Gulf--Lowville, NY--Grand canyon of the east. Inman Gulf--Barnes Corners, NY--Rim Walk with Mother Earth. Deer Creek Wildlife Refuge--Lake Ontario (Pulaski)--A chance to connect with Mother Earth's soul on a pristine beach front. Church Square--Dansville, NY--Pastoral Small Town Charm. Spirit (Indian Orchard) Falls--East Guilford NY--Quiet and paceful. Peace Chief’s Birthplace—Canoga, NY--Go and help heal the rift between Native and Non-Native. Foundation of Light, Spiritual Enlightenment--Ithaca, NY--An incredible and inviting facility. Ithaca's Spiritual Embers Still Glow--Ithaca, NY--At the cross roads of Native trails. 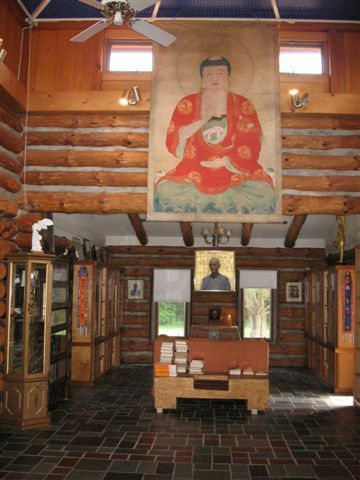 Danby's Forest of Prayers--Danby, NY--An old Native village where the spirit still remains. Bare Hill, Finding the Big Answer--Middlesex, NY--Embers of the council fires will help you find answers. Wisdom’s Golden Rod, Learn & Grow--Hector, NY--A great spiritual center where much meditation occurs. Ganondagan--Victor, NY--Still has the feel of when it was a Seneca Village. Where Hope Springs--Pultneyville, NY--Beautiful location. City Sanctuary, First Unitarian church--Rochester, NY--A divine location within a city. Henrietta United Church of Christ (UCC)--Henrietta, NY--Nice. Gossamer Wood—Nurturing Nature--Canandaigua, NY--A refuge in the woods enhanced to take in Mother Earth. Scotts Bluff--Wolcott, NY. A beautiful view and quiet beach front on Lake Ontario. Valentine Flats--ZoarValley, Gowanda, NY--A view and a chance to connect. Basilica-Fountain of Compassion and Giving--Buffalo, NY--Beautiful, full or love. The most important thing your can bring is a positive intention—for a better world and a better self and the willingness to look beyond oneself for solutions. Since many of the places are outdoors a cushion would be a good thing to have. You can buy outdoor cushions at the sporting goods sections of large stores. Such cushions are waterproof and retain your body warmth to keep you warm. Outdoor locations may not have bathroom facilities. Contact me if you have any problems at a site or have a place to recommend. 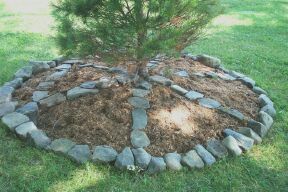 Base of the Tree of Peace--planted by Chief Jake Swamp of the Wolf Clan and the Mohawk Nation in the Willow Bay section of Onondaga Lake Park. The four lines of stones on the base represent the four spirit lines that pass over the Tree of Peace. The centers of three lines pass directly through the center of the Tree, the fourth to the side. In his ceremony Jake told us that it is good to pray next to the Tree of Peace. Amen.